The people of the West African Sahel country of Niger face frequent droughts and famine. They suffer from food shortages, chronic malnutrition and epidemics. 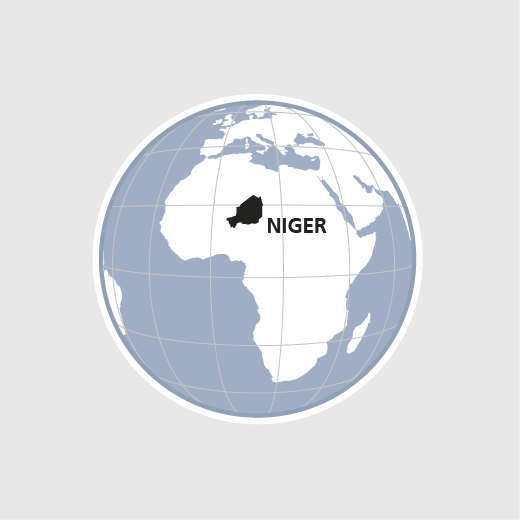 In the UN Human Development Index, Niger shares ranks second to last. HEKS/EPER has been working in Niger since the great drought of the 1970s and, together with local partner organizations, is improving food security, access to land and the preservation of natural resources. Over the long term, development projects are leading to improved living conditions and supporting beneficiaries in better preparing themselves for future droughts. HEKS/EPER and its partners supply humanitarian aid during acute food crises. In 2017 HEKS/EPER supported the creation of 315 kilometres of transit corridors for cattle herds. Some 7000 people improved their water supply.